Wow, time flies! Only 4 months to go as we near the LEED v4 implementation deadline. The Badger has been on the road for nearly the last 8 weeks straight, and we’ve heard a common theme – project team’s still have A LOT of uncertainty on how they’re going to meet some of the v4 requirements. Some – not all, is the main caveat. But here’s our top concerns that we’ve heard – and we’d love to hear your comments on them as well. 1 – v4 compliant materials sourcing – designers and contractors pointing their fingers at each other. 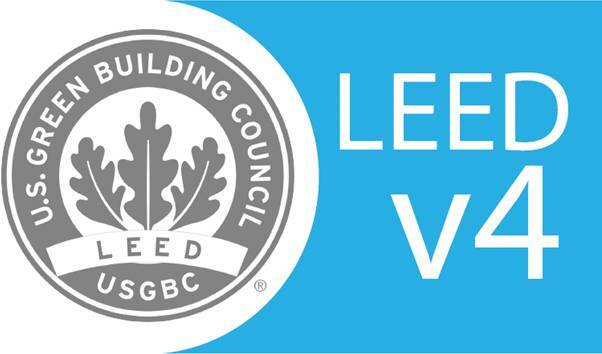 We keep asking, are architects putting specific LEED v4 compliant materials in the specs (and enough to earn the credits), or does it fall onto the GC to try and track down compliant products based on a general performance spec? We didn’t get any good answers on that – it is a combination of “both” or “we’re just muddling through it”. Wouldn’t it be great to just have a centralized database with all this information in one spot (hint, hint – the Badger’s going to have some exciting news in the next month or two). 2 – VOC emissivity availability – there’s not a whole of emissivity availability on the adhesives and sealants side, forcing all sorts of budgeting approaches, which can get really nitty-gritty on the tracking of volumes, surface areas, etc. How many square feet of caulk/adhesive did you use on that panel, Mr. Subcontractor? A growing sentiment was also seen in the comments section at our friends over at LEED User. 3 – cost increases – almost everyone we chatted with indicated they thought this was going to be a much more expensive ordeal for both hard and soft costs. Hitting the new energy requirements (which will offer payback) will require higher efficiency and more controls, while soft costs for both additional design team research, consultant fees, commissioning, etc all sounded like they will be taking more time, thus more costly. 4 – As we saw a few years back, lots of people are prepping to register boatloads of projects in October – our suggestion – do it earlier so you don’t crash the server! Final note, this was by no means an exhaustive or scientific survey – just casual chatting over beers or coffee with a variety of consultants, architects, contractors and owners over the past two months. Final, final note – if you’re looking to visit a city that has a super high concentration of new breweries, we recommend Minneapolis! We couldn’t turn around without bumping into a kickass brewery cranking out terrific beverages.